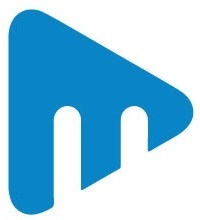 Momentum Intelligence emerged from Momentum Media, Australia’s leading business media and events company. For over a decade, Momentum Intelligence has been the driving force behind Momentum Media’s research initiatives. Our deep understanding of business audiences coupled with our robust qualitative research methodologies to produce dynamic market intelligence from the source. Our people have unparalleled expertise in respondent engagement, research methodologies, data analytics and a critical understanding of the key commercial attributes of businesses that can deliver growth and success. We have specialists from a variety of backgrounds to help you engage, digest and action the insights we provide. They include market research experts, data scientists and chartered accountants. Through our Momentum Media origins, we can also connect you with journalists, copywriters, digital marketers, designers and video/audio producers.